If you live in India or any part of the tropics, you know how difficult (& sometimes embarrassing) it is to deal with hair. Making it look pretty is not an option here, our target here is to make it look decent enough to step out of our house & get on with our lives! Heat styling lasts for a mere half hour once our hair comes in contact with the humidity, leave in conditioners & serums can make hair look extremely greasy, and sprays can protect it from UV rays & pollution, but nothing saves it from the frizz. 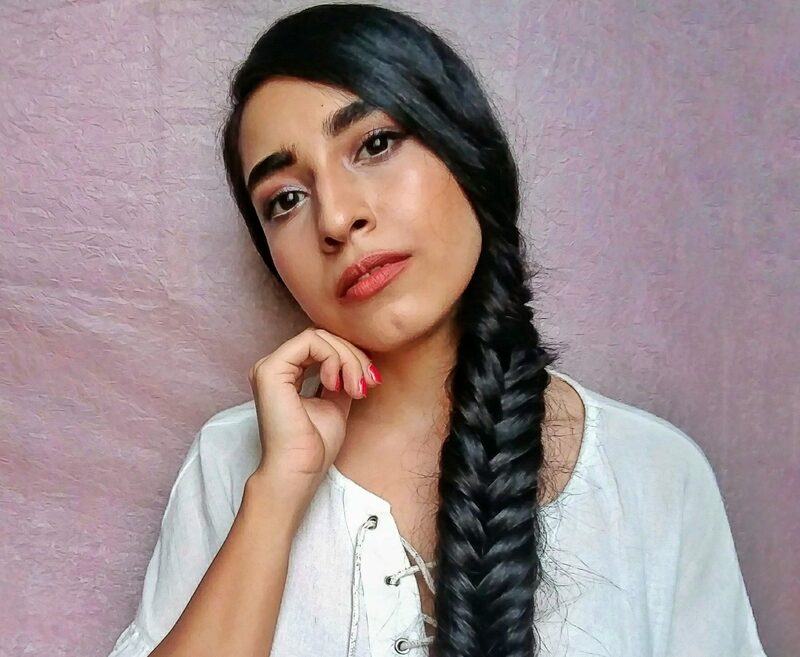 When all else fails , braids will always save you by keeping frizz at bay and still looking like you put some effort into your look! You don’t need to be a master hair stylist to nail this look. A simple fishtail braid has only 2 steps! Let me know if this helped you,I would love to create an entire series of easy hairstyles!